STARKE, Fla. — An internationally recognized creation evangelist mounted the nation’s first-ever atheist monument on Saturday and began to preach the Gospel to the crowds gathered for the unveiling ceremony. 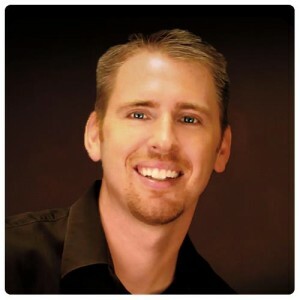 Eric Hovind of Creation Today and a number of other Christians attended the event, which was held at the Bradford County Courthouse in Starke, Florida. As previously reported, the monument is part of a settlement between officials in Bradford County and the organization American Atheists of Cranford, New Jersey. Last year, American Atheists sued the county for permitting the display of the Ten Commandments on the premises, which was placed by a group known as Community Men’s Fellowship. The county had asked the Fellowship to remove the Decalogue, but the men refused to do so. Therefore, instead of forcing the matter, it was agreed to allow American Atheists to erect their own display outside of the courthouse in the free speech area. Therefore, the group placed a 1,500 pound granite bench near the Ten Commandments monument, which features quotes from American Atheists founder Madeline Murray O’Hair, founding fathers Thomas Jefferson and Benjamin Franklin, as well as an excerpt from the Treaty of Tripoli. An area of the monument also reportedly features the ten Biblical punishments for violating the Ten Commandments, such as the death penalty for murder and adultery. According to the Ocala Star Banner, he told the audience that the reason Christians still believe in God is because they don’t truly read the Bible, and offered a signed copy of the Scriptures to anyone who would agree to read the Bible in its totality. 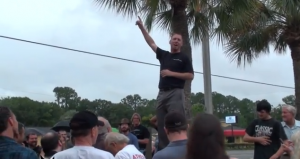 As Hovind spoke, one attendee called out that the Bible is nothing more than a fairy tale. ‘‘The problem is it’s not a fairy tale,’’ Hovind responded. 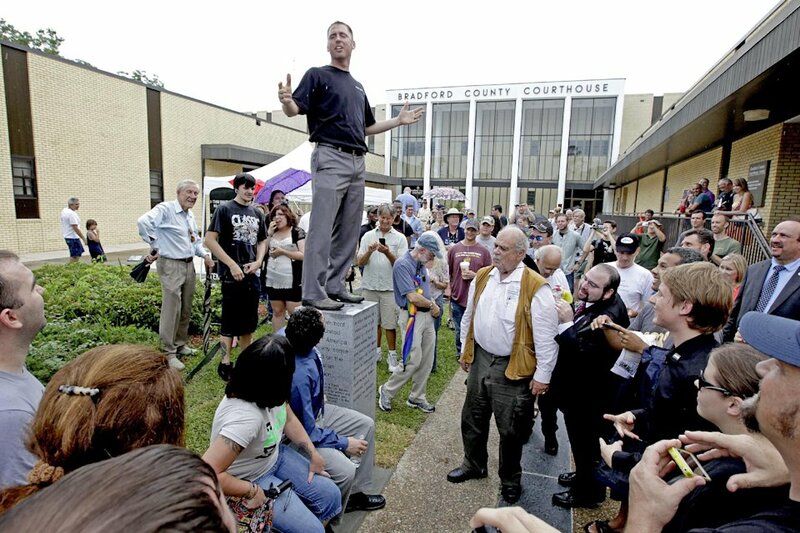 Reports state that Hovind spoke for just a moment, but the Associated Press snapped a shot of the creation speaker addressing the crowd on top of the monument. Other Christians present held signs, distributed tracts and played Christian music. Silverman says he plans to erect 50 atheist monuments across the country.